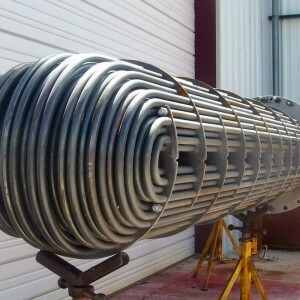 Industrial bayonet heaters are a type of immersion heater ideal for heating entire tanks of fluids. 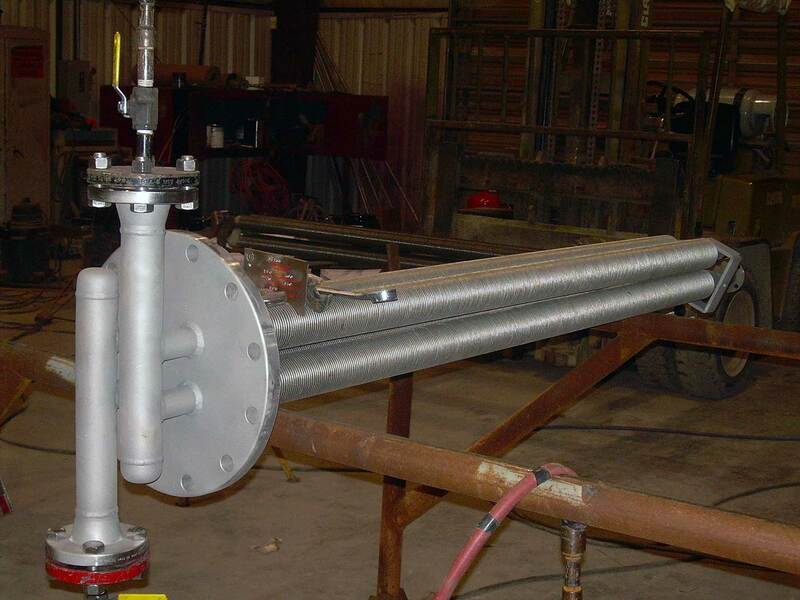 These heaters have a variety of applications in numerous industries, including the chemical process industry. 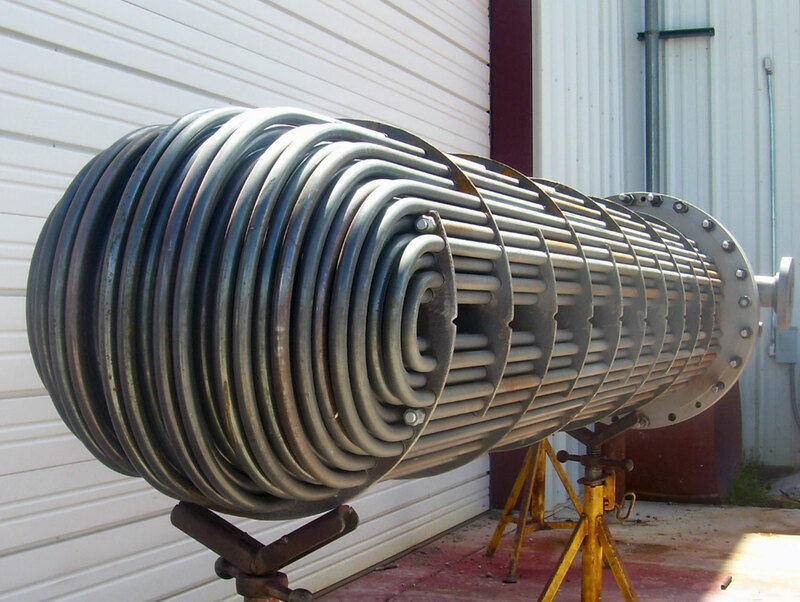 Immersed directly in fluids, bayonet immersion heaters efficiently transfer heat to large quantities of liquids, making them a cost-effective option for regulating the temperature of process solutions, oils, heat transfer fluids, and more. 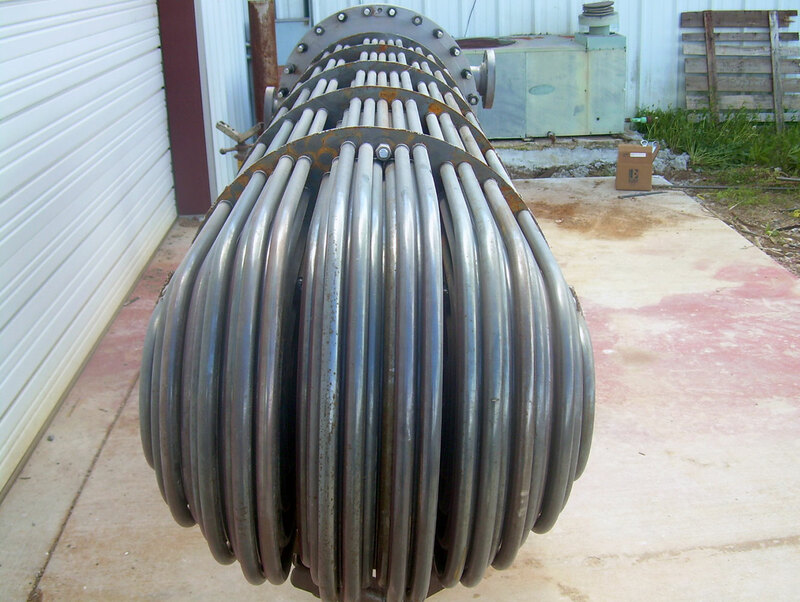 American Heating Company bayonet heaters consist of a custom designed tube bundle that efficiently transfers heat, along with a mounting flange that is bolted to the side of the tank. 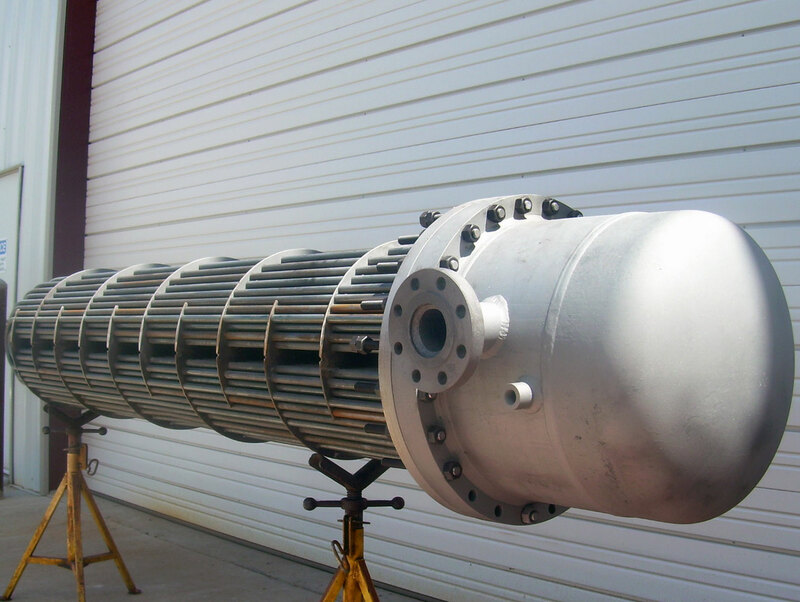 Unlike our suction heaters, which are designed to heat liquids as they are pumped, our bayonet heaters are designed to efficiently heat entire tanks of fluid. The bayonet heater is completely immersed in the tank and the heating coil is directly exposed to the fluid. 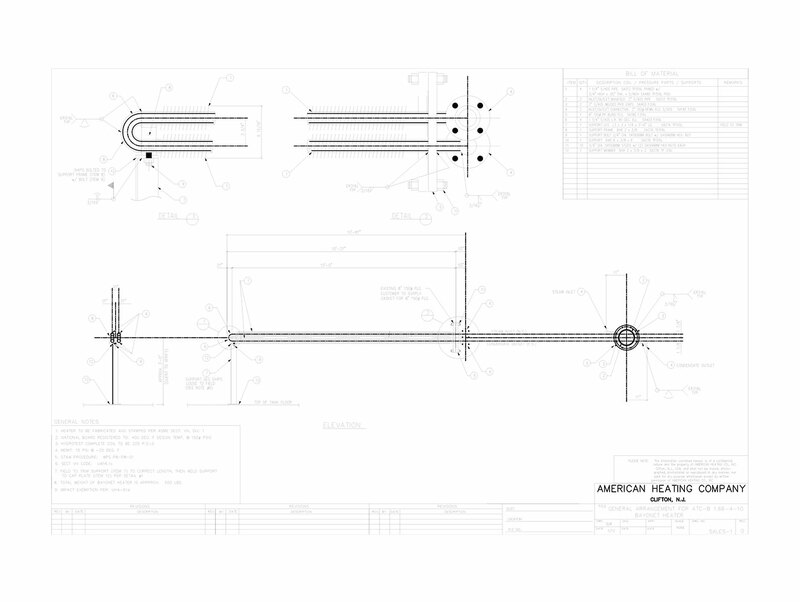 Bayonet heaters from American Heating Company are American-made and built to the highest quality standards. 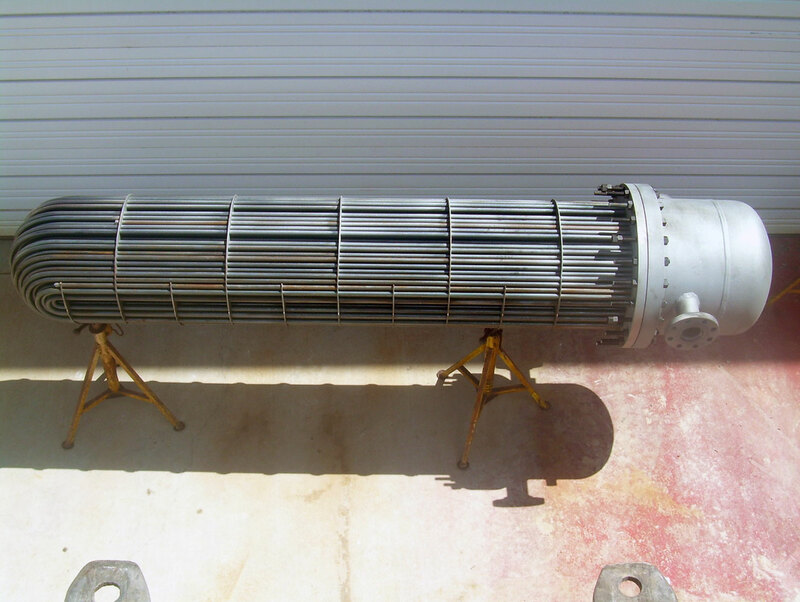 They require little to no maintenance and are a valuable component of industrial heating systems for plant facilities in a variety of industries. 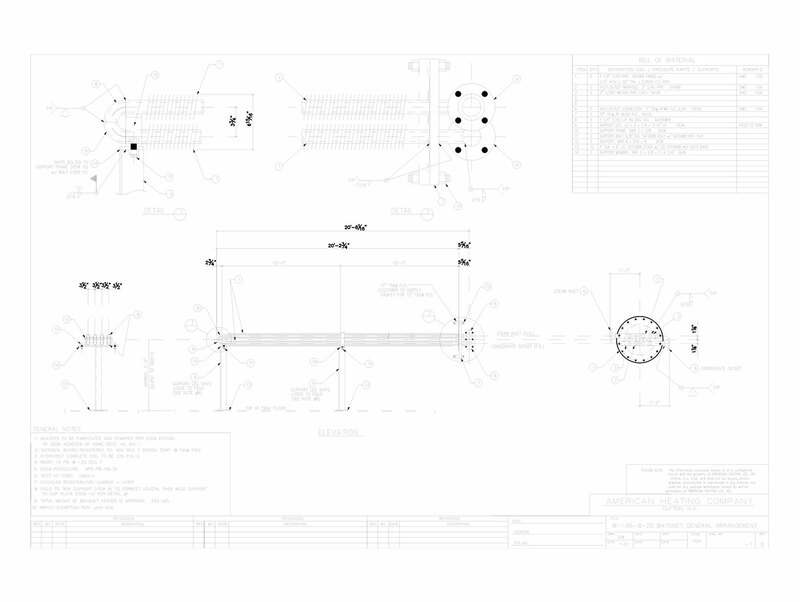 In the market for a cost-effective tank heating solution? Contact American Heating Company today to find out how our efficient industrial heating systems, complete with thermal fluid heaters, immersion heaters, steam generators, and more can make a difference for your organization. 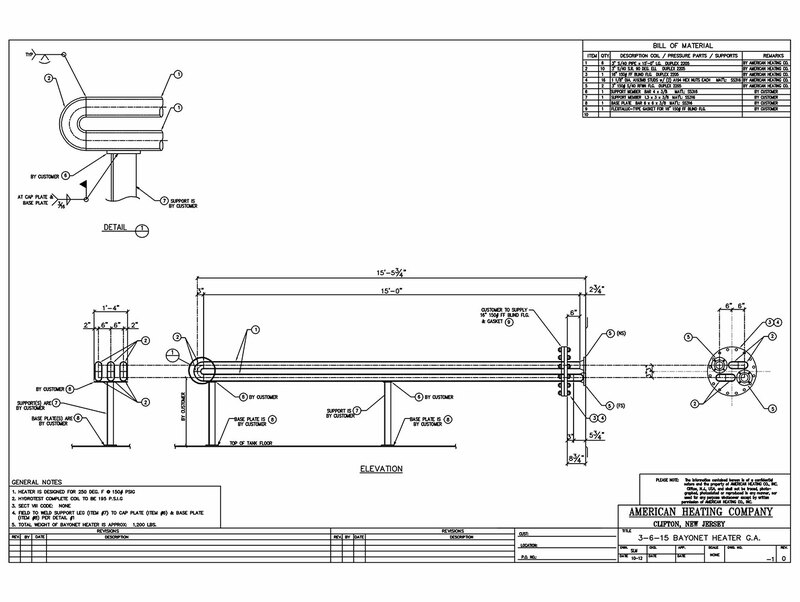 Give us a call at (973) 777-0100 or complete our online request a quote form to receive more information about how we can develop a customized industrial heating solution perfect for your facility.